Kunhiraman Palat Candeth (23 October 1916 – 19 May 2003) was a Lieutenant General in the Indian army. In 1961, the then Major General Candeth led Operation Vijay to annex Goa from the Portuguese colonial rule and served briefly as the Lieutenant Governor of the state. Subsequently, he rose to Deputy Chief of Army Staff at the time of the 1965 war and commanded the Western Army during the Indo-Pakistani War of 1971. He told a reporter during the Indo-Pakistani War of 1971 that "I am a Nair from Kerala. I am a Kshatriya". He had done his training at the Prince of Wales Royal Indian Military College, Dehradun, where he was highly rated in the classroom and on the playing field. Candeth was commissioned in the British Indian Army on 30 August 1936 in 28 Field Brigade of the Royal Indian Artillery. Commissioned into the Royal Artillery in 1936, Candeth saw action in West Asia during the Second World War. And, shortly before India's independence from colonial rule, he was deployed in the North West Frontier Province, bordering Afghanistan, to quell local tribes. The mountainous terrain gave Candeth the experience for his later operations against Nagaland separatists in the North East. He attended the Military Services Staff College at Quetta, capital of Baluchistan in 1945. After Independence, Candeth was commanding an artillery regiment that was deployed to Jammu and Kashmir after Pakistan-backed tribesmen attacked and captured a third of the province before being forced back by the Indian Army. Thereafter, Candeth held a series of senior appointments, including that of Director General of Artillery at Army Headquarters in Delhi. Following Indian independence from British rule, certain parts of India were still under foreign rule. While the French left India in 1954, the Portuguese, however, refused to leave. After complex diplomatic pressure and negotiations had failed, finally on December 18, 1961 the Indian prime minister Jawaharlal Nehru's patience ran out and he sanctioned military action. Kunhiraman Candeth earned his name in Operation Vijay—the Liberation of Goa, Daman and Diu from Portuguese rule. As 17 Infantry Division commander, Candeth took the colony within a day and was immediately appointed Goa's first Indian administrator (acting as the Military Governor), a post he held till 1963. After relinquishing charge as Goa's Military Governor in 1963, Candeth took command of the newly raised 8 Mountain Division in the North-East, where he battled, although with little success, the highly organised Naga insurgents. The insurgency in the North East has not been quelled completely to this day. 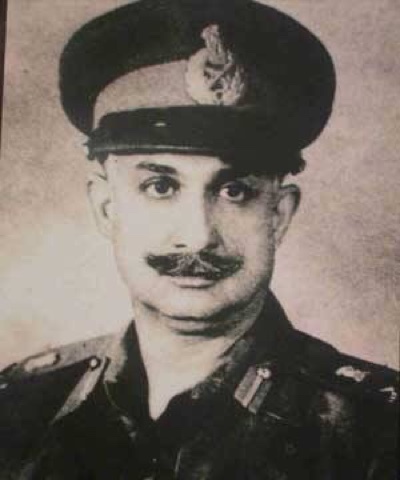 During the Indo-Pakistani War of 1971 that led to East Pakistan breaking away to become Bangladesh, Candeth (at that stage a lieutenant-general), was the Western Army commander responsible for planning and overseeing operations in the strategically crucial regions of Kashmir, Punjab and Rajasthan where the fiercest fighting took place. Lt. Gen. Kunhiraman Palat Candeth was awarded the Param Vishisht Seva Medal and also the Padma Bhushan by the Government of India. He remained a bachelor till the end.